Are you tired of having a hole in your home’s roof? Are you afraid of rain coming in and ruining your flat screen TV? Okay, even if the situation is not THAT dire, but you feel there is a need to get a roof repair done in your home, give Arizona Native Roofing a call today. We will have a professional and expert roofing contractor come to your home and give you a free and no obligation consultation. Our estimates are thorough and informative. We will not pressure you to choose us, but we think you will be glad if you do. The hot Arizona sun can wreak havoc on your roof. There will probably be a time that you will find yourself in need of Scottsdale roof repair. When the time comes you need to be aware of the importance of hiring a roofing contractor in Scottsdale Arizona that has a reputation for good work. You will not want to skimp and try to save money on your roof. This will end up costing much more in the long run. A good Scottsdale roofing company will come out and assess the needs of your roof. They will then explain what needs to be done and estimate how much it will cost. The roofing contractor will keep you informed of everything they plan to do. Whether you have tile roofing or asphalt roofing, you should be able to get your repairs done. A quality AZ roofing company will have knowledge in all types of roofs. If you are filing an insurance claim, the company should be able to help you with that as well. The roof is the protector of your home. It is important to make sure there are no leaks or sun damage. Loose shingles or tiles can cause damage if not taken care of. You should have your roof checked periodically for any repairs that may be needed. 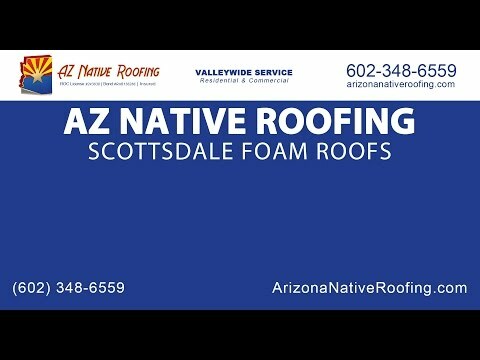 Contact the experienced Scottsdale Arizona roofers at Arizona Native Roofing today at 602-348-6559.